The Ruby Valley Strategic Alliance (RVSA) hosted a tour and brought together people interested in learning about the excellent work private landowners are doing on their own land. Several organizations were present including Montana Fish, Wildlife, and Parks, Beaverhead-Deerlodge National Forest, Property and Environment Research Center (PERC), Senator Daines’ office, Congressman Gianforte’s office, Prairie Populist, Western Land Owners Alliance, Nordlund Communications LLC, Montana State Representative Ray Shaw, Opportunity Bank of Montana, and Montana Department of Natural Resources. The group visited three local ranches owned by RVSA members Rick Sandru, Gary Giem, and Neil Barnosky. ”We work to make it better not just for ourselves, but for everyone that enjoys the land and water.” said Rick Sandru. Highlights from the tour included talks about the importance of private land and grazing allotments for open space and conservation, the benefits of irrigation, Farm Bill programs that support some of our work, local agriculture in the Ruby Valley, handling noxious weeds, wetland restoration, and a fantastic BBQ lunch at Gary Giem’s homestead with meat provided by Rick Sandru. 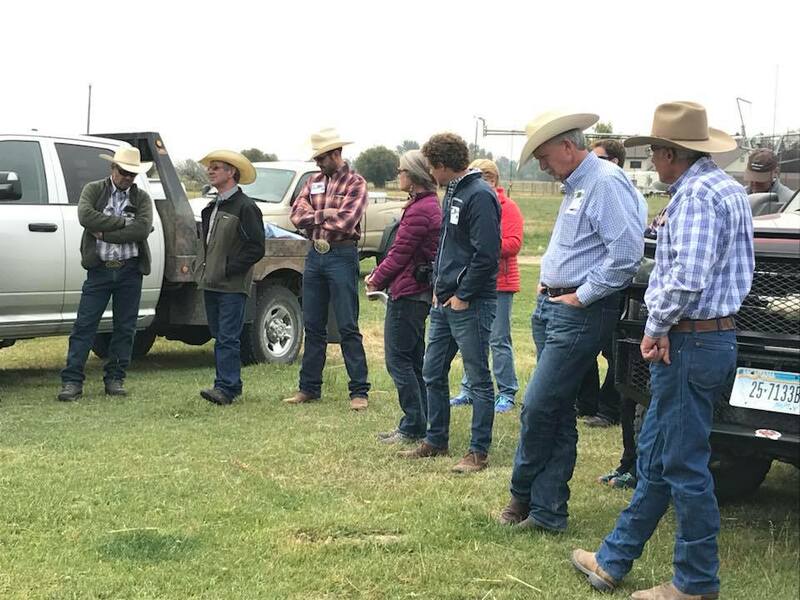 The day wrapped up with new connections forged among attendees and a better understanding of ranching practices in the Ruby Valley. ”Taking cattle to graze elsewhere gives the land a rest” said rancher Neil Barnosky on why ranchers lease public land. Want to learn more about the Ruby Valley Strategic Alliance? Check out their website. We’re proud of our role in the RVSA and couldn’t do it without our friends at the Ruby Valley Stock Association, Helle Livestock, Ruby Dell Ranch, Warm Springs Grazing Association, Ledford Creek Grazing Association, Public Lands Council, Madison County Commission, Montana Land Reliance, Ruby Valley Conservation District and Watershed Council, Ruby Habitat Foundation, Wildlife Conservation Society, The Nature Conservancy, Montana Wilderness Association, and Trout Unlimited. Thank you for supporting GYC!